Stunning quality home with beautiful view setting in Thunder Mountain Ranch. Comfortable and gracious floor plan flows with easy living design. Attractive master suite with views and privacy. Open concept great room, dining, and kitchen exemplify a great Southwest concept. This 4 bedroom, 3 bath home is enhanced with attractive outdoor living spaces. High quality new Anderson windows installed throughout most of the residence. 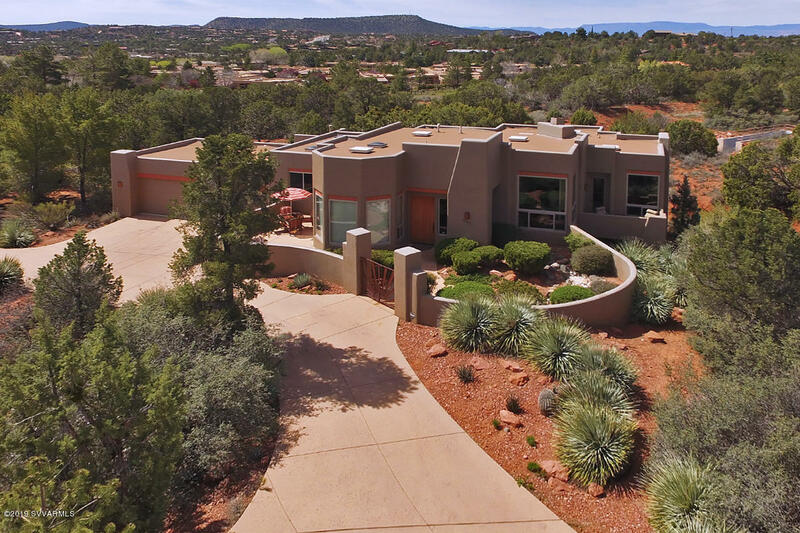 The huge 3 car garage completes one of the finest homes in Sedona in this price range. High quality furniture and decor may be purchased on separate bill of sale.